New in the Blacktop Cowboy series. 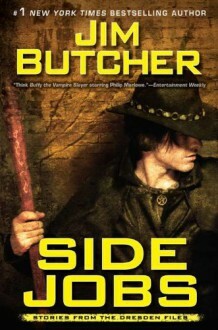 Here, together for the first time, are the shorter works of #1 New York Times bestselling author Jim Butcher-a compendium of cases that Harry and his cadre of allies managed to close in record time. The tales range from the deadly serious to the absurdly hilarious. Also included is a novella exclusive to this collection that takes place after the cliff-hanger ending of the April 2010 hardcover, Changes. This is a must-have collection for every devoted Harry Dresden fan as well as a perfect introduction for readers ready to meet Chicago's only professional wizard.